Home » Blog » The Midwives of New Jersey are Going to Hoboken! The Midwives of New Jersey are stretching all the way across New Jersey from Hackettstown to Madison to Hoboken. This is the result of lots of hard work and dedication on the part of our whole team. 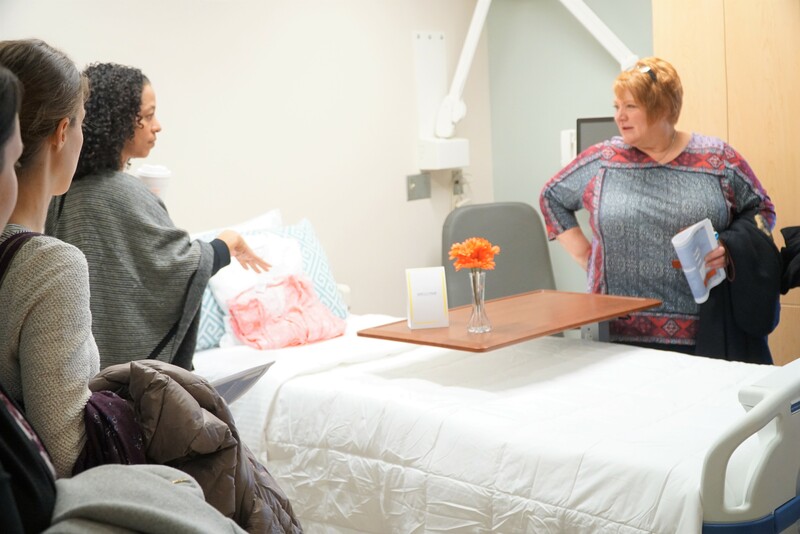 We recently traveled to Hoboken University Medical Center, in Hoboken New Jersey, for a midwife orientation and were welcomed with open arms by the Chief Medical Officer, Meika Roberson and Chief Experience Officer, Emily Fernandez. We were introduced to almost everyone with whom we will be working with. What an organized and effectual way to start our new partnership! 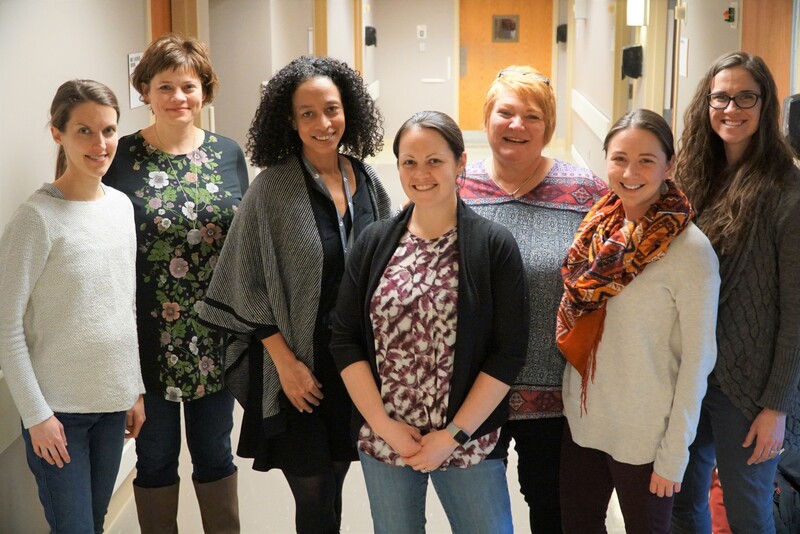 Starting in 2010, The Midwives of New Jersey started toward our goal of Improving Pregnancy and Birth Outcomes in New Jersey through the application of the Midwifery Model of Care. We are working toward the growth of Midwifery in our state with an emphasis on training new midwives (become an Intern) and allowing all the Midwives in our practice the time and support to practice the art and science of Midwifery. Over the past 6 years, we have added 4 more midwives, one new office, many more staff positions (join our committed staff), an online store and one new delivery site (Hoboken University Medical Center). We continue to see our vision of promoting properly practiced Midwifery Care across our state as a needed and desired effect of our expansion. 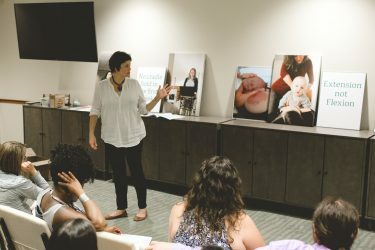 This year will be another year of tremendous growth as we publish Lisa Lederer’s book, hold a major conference in November, add Pediatric care and Preconception seminars to our current offerings and open our third office in Hoboken, New Jersey. So, we are off to Hoboken! Hoboken University Medical Center is a part of the Carepoint Health network and has welcomed us with open arms. They have hired midwifery-friendly staff, trained the nurses about the Midwifery Model of Care and purchased an assortment of Mother-Friendly tools like wireless, waterproof monitors, waterproof dopplers, birth tubs, birth balls, massage sticks and squat bars. 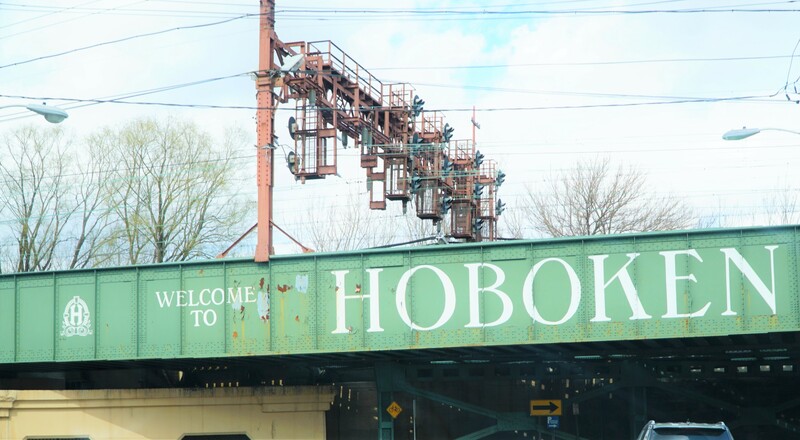 They are all-in and we are hopeful that our practice will be part of making Hoboken University Medical Center one of the premier birth facilities in the state of New Jersey. The hospital just renovated their Mother-Baby Unit and it is very client-comfortable. We will be working with Hoboken University Medical Center to create 2-3 birth suites that will be designed to support women through physiologic birth. We will hope to incorporate an early discharge policy once the birth suites open. The Midwives of New Jersey plan to be the change-agents that the state of New Jersey truly needs. Pregnancy and Birth are part of the normal physiology of a woman’s body, and her body generally requires little assistance to make and deliver a child. Our job as Birth Workers is to educate and support, to only step in when necessary, and to Serve Women and Honor Birth. Follow our progress on Instagram, Facebook, Twitter, Lisa Lederer Midwife Facebook LIVE and on our website. This is so exciting! You ladies are remarkable and I am so grateful for your hard work. Now I want to get pregnant again!